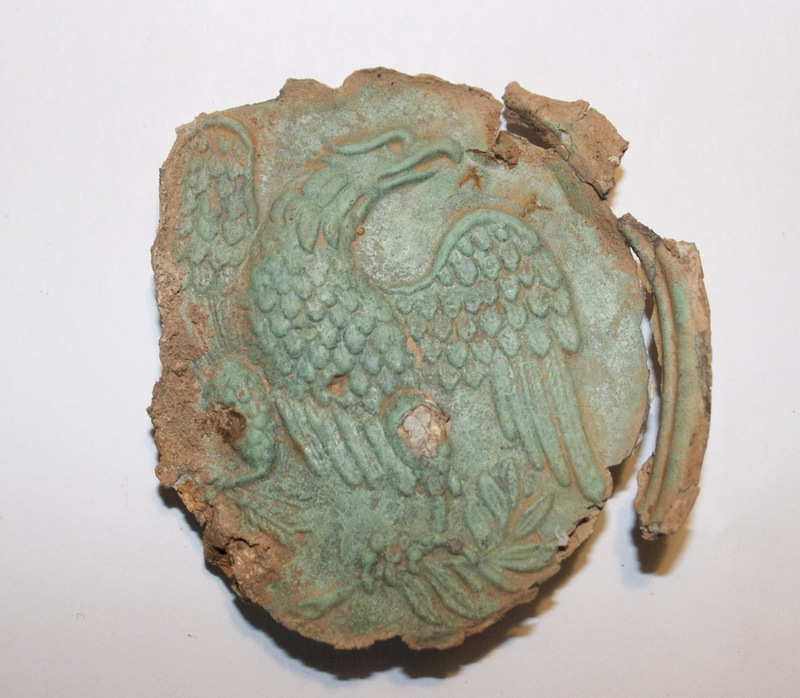 After the DIV XIX article I got a few comments from folks wanting to see all of my DIV finds including the Eagle breastplate after it had been cleaned. 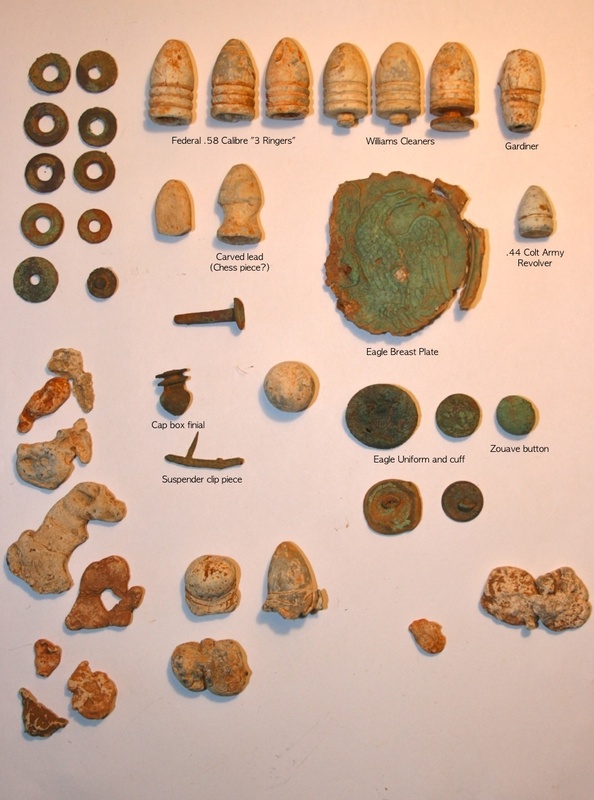 So here's the result of 3 days relic hunting in Culpeper (click on images to open zoomed view in a new window). Here's a closeup of one of my favorite finds and another "first" for me —the carved bullet. 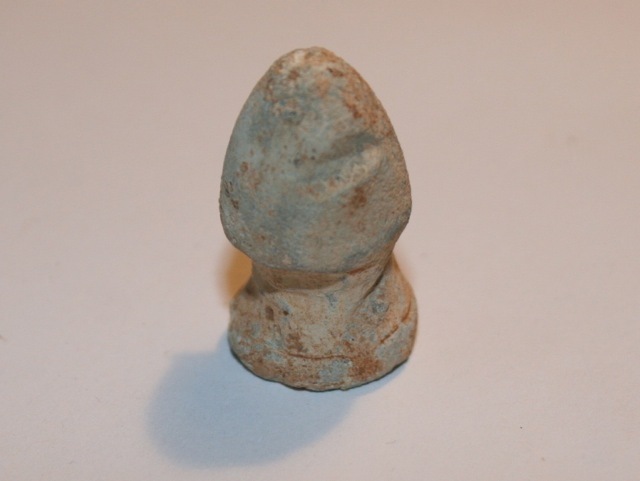 It's amazing to think of a soldier playing chess with this in camp below Hansbrough ridge during the winter of 1863. And finally, here's a photo of the Eagle Breastplate after cleaning.